I am excited today to offer you a guest post from my dear friend and fellow author, Janet Sketchley. Thanks for this beautiful inspiration, Janet. Have you ever personalized a Bible verse as your own? Some verses we speak back to God in prayer, and others we cling to as promises. In an effort to fill my mind and spirit with good things, I’m working to memorize Scripture verses. I have them on note cards that I see in the morning and when I’m getting ready for bed, and I try to recite them to myself at traffic lights and other moments of waiting. What I first loved about this one is that ending with “He is good to me” builds a warm reassurance that yes, God is good to me. It makes these verses good weapons for times of discouragement. Then I saw something new. Don’t you love it when God does that? “I trust in Your unfailing love” — why had I limited that to myself? This is a personal psalm, affirming the writer’s personal trust and declaring his needs, but trusting God’s unfailing love can go way past the boundaries of trusting for ourselves. We can trust His unfailing love for others — for the ones so painfully heavy on our hearts, the ones we fear won’t turn to Him, the ones in crisis, the ones who are sick or grieving, lonely, or lost. He doesn’t just love us. His love reaches for each one, and that love has the power to draw and to save. When we speak these verses, silently or aloud, it’s an opportunity to remind ourselves that His unfailing love is big enough to trust for our loved ones as well as for our own needs. And yes, He is good to us. Janet Sketchley is the author of the Redemption’s Edge Christian suspense series and the devotional book, A Year of Tenacity. 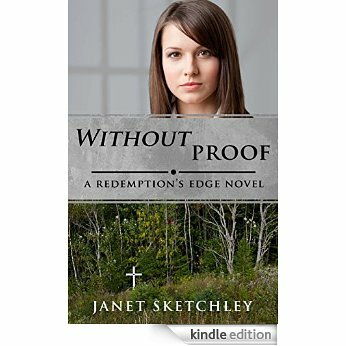 Without Proof is a powerful Christian romantic suspense by Canadian author Janet Sketchley. It is the third book in the Redemption’s Edge series. Both print and e-book release on November 10, 2015 (that’s today). Almost two years after the small plane crash that injured AMY SILVER and claimed the life of her fiancé, GILLES RENAUD, a journalist suggests foul play may have been involved. Gilles’ best friend, MICHAEL STRATTON, and his great-aunt have taken Amy in as family after the accident, allowing her to heal through rest and helping Michael in his art studio. The thought of sabotage brings back not only Amy’s sorrows, but also fear. Who would want to harm Gilles? Or her? And why? Questions multiply as inquiries progress. Someone, maybe several people, do not want an investigation into the crash. Could it be Gilles’ parents, who blame Amy for what happened, or Gilles’ sister, who has a thing for Michael and wants Amy out of the way? And who is sending her the text warnings to call off the investigation? The source seems more insistent than sinister, at least at the beginning. As the story unfolds, Amy watches Michael’s increasing anxiety turn to obvious distress. Yet he won’t tell her what is causing his concerns. In the midst of these troubles, Amy’s father contacts her. He has never taken an interest in her after his fling with her mother that resulted in Amy’s birth. Why would he want to meet her now? Why should she bother to establish a relationship with him? Through it all, Michael and his aunt continue to pray for Amy, and to encourage her to trust God with her problems. But they don’t realize that God would never accept her, and Amy refuses to tell them why. As she struggles with fear, loss and trust issues, she also needs to deal with her growing feelings for Michael. Does he think of her only as a friend or has he promised Gilles he would take care of her? A story with so many questions is always a great read, especially when the author expertly answers them at just the right time. I enjoyed this story immensely, particularly because it has so many levels of interest: suspense, faith, romance, mystery, depth of character. Author Janet Sketchley has crafted a tightly-written novel in Without Proof. Her characters are credible and realistic, with problems, concerns and secrets that make the reader care from the first page onward. Even the minor characters have sufficient storylines. My favorite character is Aunt Bay, whose energy, faith and dynamic personality add depth, humor and pacing to the story. She’s someone I’d like to emulate. On the other hand, I couldn’t stand Gilles’ sister, or the fact that Michael couldn’t seem to see through her charade. Again, well done, Janet. The settings in the novel are researched well enough that we feel the cold breeze as we stand with Amy on the roadside at the crash site, hear the water as we walk with her and Michael down to the shore at the back of his property, relax as we listen in on her conversations with Aunt Bay in the warm, welcoming kitchen. I thought the plot progressed steadily, with lots of tension and suspense, and then the ending revealed another entire layer of story that had been taking place in the background. It made me want to start all over and read it again. Note to the reader: do not skip to the end or read the bonus chapter until you have read the entire story, or you will spoil the ending for yourself. I would recommend this book to anyone interested in suspense. The faith themes are an organic part of the whole experience, as is the romance, which is sensitively handled by the author. Also, check out Janet’s first two novels, Heaven’s Prey (2014) and Secrets & Lies (2014). Each of these novels is a stand-alone book, but they share characters in common, so it’s fascinating to read them in order and see the world of Redemption’s Edge characters expand. I’m a Canadian author who loves stories with strong characters, adventure and hope. My novels, Heaven’s Prey, Secrets and Lies, and Without Proof (coming Nov/15) are stories of suspense and redemption. Fiction’s my passion, but my story in the award-winning anthology A Second Cup of Hot Apple Cider really happened. Random facts: My super-power is untangling yarn and Slinkies™; there are over 50 varieties of tea in my house; I’m Canadian but I worked at the busiest McDonalds in London, England; I’ve taken basic fencing lessons; and I once rode an elephant. I’m also a wife, mom, daughter, friend, neighbour… a Christian growing in faith, trying to balance relationships and responsibilities. Can you relate? If you like Christian suspense, sign up for my newsletter. Every month I’ll send you an email with news and fiction tidbits. 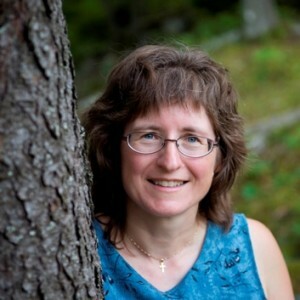 Janet is a Canadian author with a passion for story. She’s also a wife, mom, daughter, and friend who balances relationships and responsibilities while learning how faith applies to real life. Combine all that with her quirky imagination and love of fiction to get inspiring novels about everyday women in suspenseful situations who discover more strength within than they could have dreamed. Janice: Hi Janet. Thanks for agreeing to this interview. First of all, tell me why you write. What’s your motivation, what keeps you on track and when did you start on this path? JANET: Thanks for inviting me, Janice. I’m looking forward to our chat. Most of my life, I’ve made up stories, so writing fiction was a natural progression. Non-fiction is a bit different. I have things I want to say, but for me conversation can be like a first draft—jumbled and in need of organization. So I write to express what I’ve learned, or to share the story in my mind with others. One of the things that keeps me going is the desire to bring my “imaginary friends” to life in others’ imaginations. As long as there’s a better way to do that in my fiction, I keep working at it. I played at writing as a child, but fell back into it almost 20 years ago. Janice: Do you have a specific audience in mind as you write? JANET: I think it’s me! Not to be self-centred, but I want to discover the characters and their stories. To broaden that, my revisions aim to appeal to women who enjoy suspense and characters they can relate to, and who are either Christian or comfortable reading about Christians. I work to keep churchy jargon out, though, so readers won’t be confused or feel preached at. Janice: As a writer myself, I know this requires self-motivation and discipline. How do you approach your daily writing? Do you work on more than one project at a time, and do you edit as you go? JANET: I’m always writing content for my blog, but until now fiction has been one story at a time. I edit as I go, but there’s plenty more editing to be done at the end of the draft. I don’t think I could create two stories at once, but now that I have a series contract, once I turn in the story I’m currently revising, I’ll be writing a new story while doing edits on the other one. 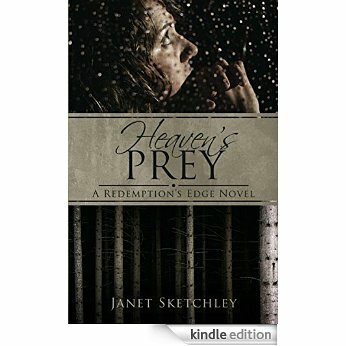 Janice: Your debut novel—Heaven’s Prey—was released in November of 2013. Can you give us a brief summary of the storyline and what inspired the original idea? JANET: A grieving woman is abducted by a serial killer—and it may be the answer to her prayers. Despite her husband’s objections, 40-something Ruth Warner finds healing through prayer for Harry Silver, the serial killer who brutally raped and murdered her niece. When a kidnapping-gone-wrong pegs her as his next victim, Harry claims that the chance to destroy the one person who’d pray for him proves God can’t—or won’t—look after His own. Can Ruth’s faith sustain her to the end—whatever the cost? The original idea was a question: it’s one thing to pray for an offender locked away in jail, but what would you do if you met the person face to face? Janice: How did you create / develop the characters? Are they based on real people or totally figments of your imagination? JANET: They came out of my head, but my imagination drew on my own character and on impressions I’ve picked up from real and fictional people along the way. They’re not based on specific individuals or situations, though. Janice: The book is set in Canada. Why did you choose that setting? JANET: Canada is my home, and the story fit here. Plus, in dealing with an escaped convict etc, I wanted to work within a justice system I more or less understood, with easy access to input when I had questions. Janice: What was the most difficult part of this project for you? Janice: And your favorite part? JANET: Every so often, an aspect of the story would spring to life spontaneously and I’d write as fast as I could to keep up. Those moments are rare, but I love them. Janice: What is your take-away value from Heaven’s Prey? JANET: Whatever happens, Jesus will be there. Ruth discovers this, and it’s something I’ve learned along the way too. Janice: I know you are an avid social media user. How did you learn to use it and what do you think is the most effective social media for you as an author? Janice: Do you write in other genres besides suspense fiction? Any non-fiction? JANET: I’ve been dabbling a bit in speculative fiction for fun, but that’s on hold right now. And I have a non-fiction story, “The Road Trip that Wasn’t,” in A Second Cup of Hot Apple Cider. The only non-fiction I’m writing these days is for blog posts: reviews, devotionals and Christian living. JANET: I live in Nova Scotia, on Canada’s east coast. I’ve just finished a few months’ full-time work, so I’m a writer-homemaker, learning to set boundaries between work-at-home and free time. I love reading, music, knitting and cross-stitch… and tea. TV isn’t on my radar, except for Doctor Who and Babylon 5. A year ago I joined a gym, and actually enjoy the group exercise classes. Who knew? So I feel stronger, and a bit more confident. I sing in our church worship team, too. Janice: Can you give us a hint as to future plans in your writing career? 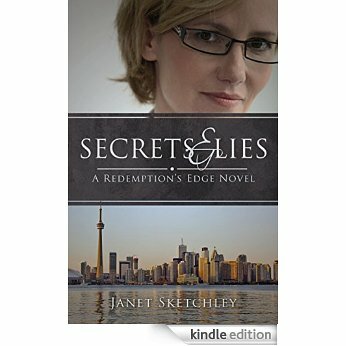 JANET: There are two more books in the Redemption’s Edge series: Secrets and Lies and one to be named later. That’s my focus right now, and beyond that I have a few ideas for other stories, but nothing clear. I love writing novels, though, and hope to keep it up long-term. Janice: Is there anything else you’d like to include here for our readers? JANET: Thank you for the chance to chat, Janice. I’m a long-time fan of your historical fiction, and it’s so good to see your newest story out. 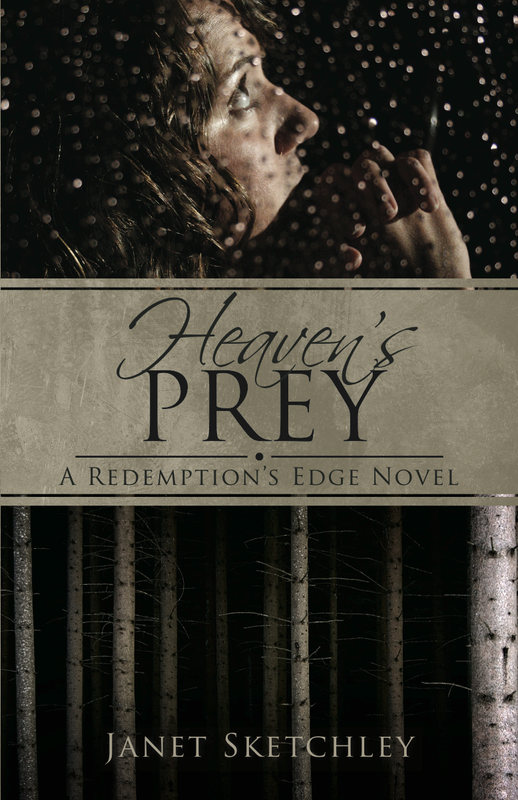 Readers who are curious about Heaven’s Prey can read chapter 1 for free at http://ow.ly/smyDU. Janice: Thanks so much for your time and for giving us a glimpse of you and your work. I wish you all the best in your future writing.